Archaeology has produced many bits of interesting confirmatory evidence as to accuracy and dependability of both the Old and New Testaments. Nothing has been discovered in archaeology that would allow fraud, misrepresentation, or error in either Testament, We cannot expect to prove the Bible by archaeology. The great subjects with which the Bible primarily deals - man's relation to God, and God's provision for man's salvation - are matters that are not susceptible to archaeological evidence. However, archaeology demolishes many of the attacks that unbelievers have made against the Bible, and it disproves many of the arguments advanced to show that Christianity is merely the result of a historical development. 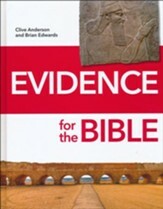 In addition, archaeological material gives help for the precise understanding of many Biblical statements. This is an excellent primer that all Christians should read to familiar themselves with Biblical Archaeology. Allan A. MacRae, A.B., A.M., Th.B, Ph.D was president and professor of Old Testament at Faith Theological Seminary in Elkins Park, Pennsylvania. Dr. MacRae's learned and extensive knowledge in both the Biblical and archaeological fields has been acquired through many years of exhaustive study and research together with over thirty years of theological seminary teaching. Dr. MacRae received his academic training at Occidental College, A.B 1922; ibid, A.M, 1923, Princeton Theological Seminary, Th.B 1927, Princeton University, A.M. 1927, University of Berlin, 1927-29, American School of Oriental Research, 1929; and University of Pennsylvania, Ph.D, 1936. 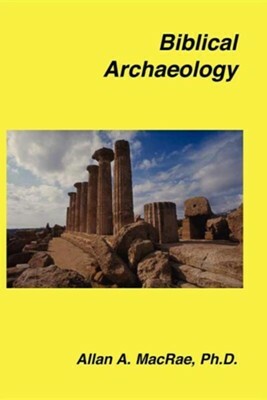 I'm the author/artist and I want to review Biblical Archaeology.